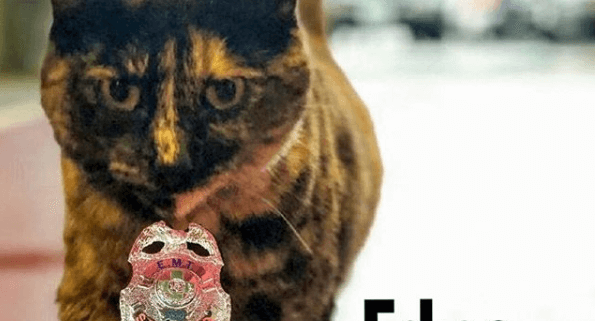 The City received an anonymous complaint regarding a cat in the SFFD workplace at Station 49.
and pharmaceuticals used by ambulance staff to provide crucial lifesaving emergency health care are housed. In response to the complaint, an independent investigation was conducted and concluded that having the cat in the facility compromised the sterility of supplies, equipment and pharmaceuticals used on patients. Public health and safety concerns counseled removal of the cat from the premises. Part of the reason that this Policy was adopted was for the safety of the animals, given onsite activities that routinely involve large apparatus and machinery operating under emergency conditions. Before Edna got the official boot from station 49, the firefighters had launched a campaign for her to stay. On Edna’s Instagram account, #Ednastays, along with requests for help from the public, were posted – but the efforts were not enough for the four year resident of the facility to remain. Though the press release indicates that Edna has already secured a new home, Ybarra said that is not true and an appropriate home is still being sought. Find Edna’s Instagram account here. Yesterday: Shelter held wedding for bonded dogs – help find them a home! More here. More: Horribly injured dog rescued from a dumpster – more here. How far do we have to go to make everything correct? It sounds like everything they did was with Edna in mind and nothing was being compromised. The complainer needs to pick their battles! Shame on you! It sounds like Edna wasn’t interfering with the medical supplies so what was the harm of letting her live with the firefighters? People just like to start trouble! The cat wasn’t hurting everyone and had a good home, leave her alone! What the hell is the problem with Edna being there, she isn’t hurting anyone. I just don’t understand. She’s very beautiful. I hope and pray you find her a good and loveable home. Thank you for caring for Edna. Hope Edna finds a loving home like she had with these people. Sad that they can’t keep her there but part of me understands yet I hope everything is being done to find her another loving home. what? now all it takes it one complaint. poor little cat. horrible pos that wants to get rid of her. DAMN THE TROUBLEMAKER WHO COMPLAINED! THIS IS NOTHING LESS THAN “SHEER MEANNESS”! 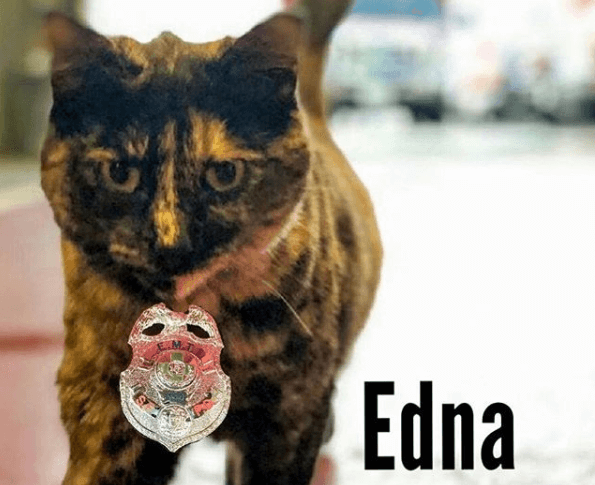 Does Edna need donations to help find her a new home? Please post updates on how and where she is! There’s definitely a cat hater behind this bull ! They were doing procedures properly in regards to Edna! I thought San Francisco was a forward moving city!